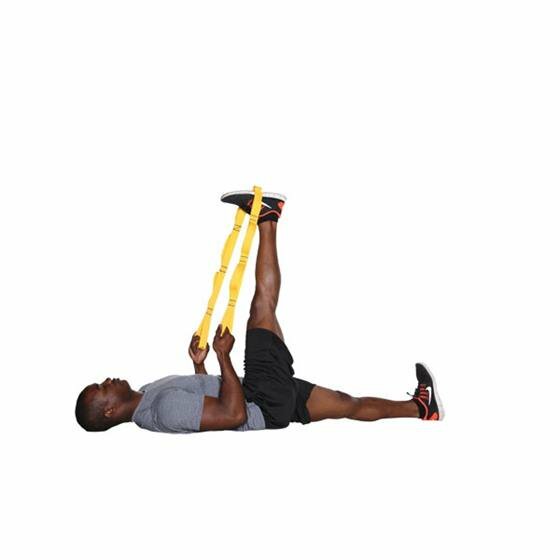 The PowerMax Stretch Out strap allows you to benefit from PNF stretching without a partner. Lets you stretch more effectively and safely than stretching without the strap. Eight 8" handles provide for a variety of stretches. Length: 62" Width: 4" Thickness: .5"